Franklin Resources 2019 annual meeting is 2/12/2019. 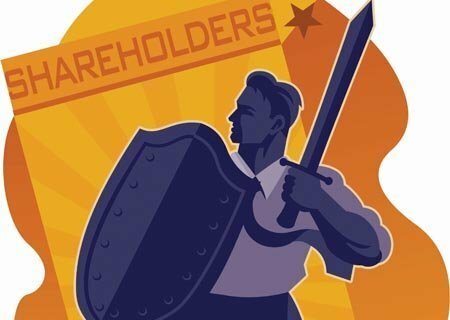 Shareholder rights are under attack. Vote AGAINST Barker, Johnson, Pigott, Stein, and Waugh, as well as the auditor. Most important, vote AGAINST the Board’s attempted Ratification of a Substitute Special Meeting Amendment. Shields up! Vote to protect shareholder rights and enhance long-term shareholder value. Franklin Resources, Inc. (BEN) is a publicly owned asset management holding company. The firm invests in the public equity, fixed income, and alternative markets. Most shareholders do not vote. Reading through 70+ pages of the proxy takes too much time. Your vote will make only a small difference but could be crucial. Below, how I voted and why. I voted with the Board’s recommendations 38% of the time. View Proxy Statement via SEC’s EDGAR system (look for DEF 14A). From the Yahoo Finance profile: Franklin Resources, Inc.’s ISS Governance QualityScore as of January 1, 2019 is 4. The pillar scores are Audit: 2; Board: 7; Shareholder Rights: 2; Compensation: 8. Unfortunately, there is no say-on-pay vote this year at Franklin Resources. Egan-Jones Proxy Services recommends For board nominees, except (1A) Peter K. Barker, (1D) Gregory E. Johnson, (1F) Mark C. Pigott and (1I) Seth H. Waugh. Barker, Pigott and Waugh all serve on the compensation committee, which is too generous. Additionally, all have served ten years or longer, so are potentially conflicted. Johnson, as Board Chairman, failed to address cyber security issues. the company’s expected course of action, if ratification is not received. Although the proxy might technically comply with that, it is not clear that voting for “ratification” is tantamount to voting against a lower threshold. Many shareholders, and some advisors (such as Egan-Jones), will simply see some ability to hold a special meeting as better than not having any such right. Instead of voting for ratification as a rejection of the invisible shareholder proposal (as theorized by the SEC), they will be voting or advising in favor of the only option that grants them such rights that appears on the proxy. Although that is understandable, it rewards bad behavior. If both proposal had appeared on the proxy, shareholders would have been able to choose. By rejecting the ratification proposal, you open that as an opportunity for next year. Vote AGAINST: (1A) Peter K. Barker, (1D) Gregory E. Johnson, (1F) Mark C. Pigott, (1H) Laura Stein and (1I) Seth H. Waugh. I have no reason to believe the auditor engaged in poor accounting practices or has a conflict of interest. Egan-Jones recommends voting against the auditor if they served for seven years. Independence becomes compromised by that time. Franklin Resources used the strategy of ‘do the opposite’ by winning a no-action from SEC staff, allowing them to substitute “ratification” of recently adopted special meeting provisions for my proposal to lower the threshold. I submitted my proposal on August 13, 2018 to allow shareholders with 15% of the common shares to call a special meeting. On October 22, 2018, the Board adopted a bylaw allowing shareholders with 25% of the common shares to call a special meeting. They then won a no-action request to omit my proposal, conditioned on mentioning the substitution in their proxy. Regardless of what threshold you believe is best, I hope you will vote AGAINST the Board’s 25% proposal because they should not be able to hijack a shareholder proposal by substituting their own. SLB 14H attempted to prohibit such gaming but the SEC’s poorly crafted language allowed a loophole for doing the opposite. Shareholders should have the choice to vote for the Board’s proposed threshold or mine. The winner would then reflect the preferred choice of shareholders. The largest shareholders of Franklin Resources are other large funds like Vanguard, BlackRock, SSgA, and T Rowe Price. They voted with AES last year when that company chose to do the opposite prior to the change in proxy voting policies by ISS and Glass Lewis. Will they support Franklin Resources on their “ratification” proposal? These funds are so large and unaccountable, they can do the opposite too, and the four of them own 18% of Franklin Resources. Doing the opposite of what shareholders suggest makes a mockery of shareholder oversight of corporate boards and democracy in corporate governance. It is a funny strategy for a sitcom but, as I recall, it only lasted for one episode on Seinfeld. How long can companies like Franklin Resources do the opposite of what shareholders want and get away with it? This proposal from William L. Rosenfeld requests the Board institute transparent procedures to avoid holding or recommending investments in companies that, in management’s judgment, substantially contribute to genocide or crimes against humanity, the most egregious violations of human rights. I am not sure how effective that is. I abstained, hoping that Franklin Resources will use its voice in proxy voting to address human rights issues. Voice is more powerful than exit but how do we get Franklin to vote its proxies to reduce genocide? What companies has Franklin Resources invested in that practice genocide and what efforts has Franklin Resources made to end those practices. As for a report and I am more likely to vote for it. Proxy Insight has reported no votes at this early date but many votes do not come in until about the last week of voting. I am posting this early to ensure shareholders are alert to item #3. I may update at a later date. Directors: AGAINST (1A) Peter K. Barker, (1D) Gregory E. Johnson, (1F) Mark C. Pigott, (1H) Laura Stein and (1I) Seth H. Waugh. Ratification of Substitute Special Meeting Amendment: AGAINST. Institute Procedures on Genocide-Free Investing: ABSTAIN. Special meetings require a 25% , instead of preferred 15% threshold. If a stockholder wishes to present any proposal for inclusion in the proxy materials to be distributed by us in connection with our 2020 annual meeting, the proposal must be received by the Secretary of the Company on or before August 29, 2019. Be sure to vote each item on the proxy. Any items left blank are voted in favor of the Board’s recommendations. (See Broken Windows & Proxy Vote Rigging – Both Invite More Serious Crime). I generally vote against pay packages where NEOs were paid above median in the previous year but make exceptions if warranted. According to Bebchuk, Lucian A. and Grinstein, Yaniv (The Growth of Executive Pay), aggregate compensation by public companies to NEOs increased from 5 percent of earnings in 1993-1995 to about 10 percent in 2001-2003.